We are told to live in the moment; don’t worry about the past or the future, it is now that you should care about, but how many of us really do? We spend endless hours checking our phones or having meaningless arguments online. If someone walked in on you right now and said that you are not actually real, but a snapshot of yourself who will be deleted tonight, what would you do? Laugh? Cry? Commit murder? Detectives Davis and Chaz are specialists who help solve crimes in the Snapshot; a technological marvel that allows you to recreate a certain day and relive it. Davis and Chaz must keep their actions to a minimum to avoid any deviations in this copy from what was once reality. On one trip they stumble across what looks like a mass murder, they decide to break protocol and investigate, but when even real life detectives can die in the Snapshot, are they putting themselves in unnecessary danger? A lot of Science Fiction can be considered think pieces that make you question what you are reading and what is around you. 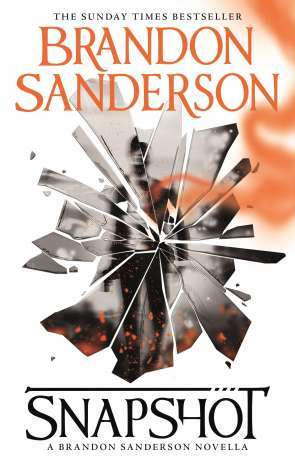 Snapshot by Brandon Sanderson is a great example of this as it poses lots of questions about what is reality – the old, are we all actually in the Matrix argument. Sanderson has some great fun with this by having two real life detectives walking around a copied world. Only they are aware and are able to ‘awaken’ duplicated people. Some of the best parts are how duplicated people react to their impending deletion. The entire concept of the Snapshot itself is a little flaky; could it really exists and how come they are only using it to solve crimes? Sanderson expresses this in his own postscript by suggesting you think of the story as more Science Fantasy than Science Fiction. The issue is mostly redundant anyway as by using two mostly ignorant low level detectives, the lack of knowledge about the Snapshot rings true. The science fiction elements inform the story in ‘Snapshot’ and don’t end up dominating it. I for one am happy to only know a minimal amount about the world as long as the ideas and story are strong. It is here that Snapshot works best. The crime genre is used quite often in genre fiction as something to hang fantastical ideas over, but you often find that the science fiction or fantasy elements work, but the crime sections are poorly done. Sanderson avoids this by writing an intriguing crime mystery that works in its own right. By making Davis and Chaz flawed, he is also able to create a more realistic and bumbling approach to detective work. At under 150 pages this book is certainly a novella and not a novel. In most cases this would not pose an issue, but at full RRP it is a little steep for a lunch break’s read. Perhaps a few short stories could have been included to pad things out? The impressive thing is that Sanderson packs a lot of punches into so few pages; an interesting concept, a good crime story and also some twists and turns. If UK readers can forgive the length of the book and the fact that the heroes make you think of cockney songsters ‘Chaz and Dave’, you are in for a treat. I would consider this book either an amuse bouche for Sanderson fans, or a fantastic appetiser for new readers to the author. I for one will check out some more of his work in the future. Written on 17th September 2018 by Sam Tyler.